Holy crap, can someone facilitate this form me? Keep the wheels, seat, stem, and bar in exchange for shipping, I just want the frame/fork/headset and drivetrain. Guy doesn't know what he has. Turns out it's a mid-1980s Pinarello Treviso, great shape, looks about 58cm. Stanton, CA. Dont bother...the seller says that it isnt his ad. Seems someone is playing a prank on him. He doesn't have a pinarello for sale. Or hes collecting phone numbers for marketing calls bcuz he just reposted this again 3 days ago. I has originally contacted the number a month ago. Last edited by malcala622; 07-12-18 at 08:50 AM. I seem to recall there was someone who was intentionally posting bogus ads in CL all over the US because they thought it was "funny". More info showed up in this thread, but this was in ... like 2016 or 2017, so it's definitely buried at this point. Thanks for the heads-up, I was tempted to contact them myself if I didn't hear back, you just saved me some grief. Hmm, interesting; in the photo/video sections of CLs all around this region, some very fishy looking ads for a way-underpriced "new" Nikon D850 have been appearing on and off for the past several months. Always just one photo, not always the same photo, but rather stock looking. Always just a phone number for contact. Phone number varies, but is at least local to the state in which the ad is posted. I've been thinking it's some kind of scam, but maybe it's some sort of phone pranking. "This 34 year old bike has probably less than 1000 Miles. Needs some work but with an investment in a few parts and a good bicycle mechanic, it will be a great bike. The frame is 20.5 inches or 52 cm. When we purchased it back in the day it was probably an $800 to $1,000 bike. We are the original owner." 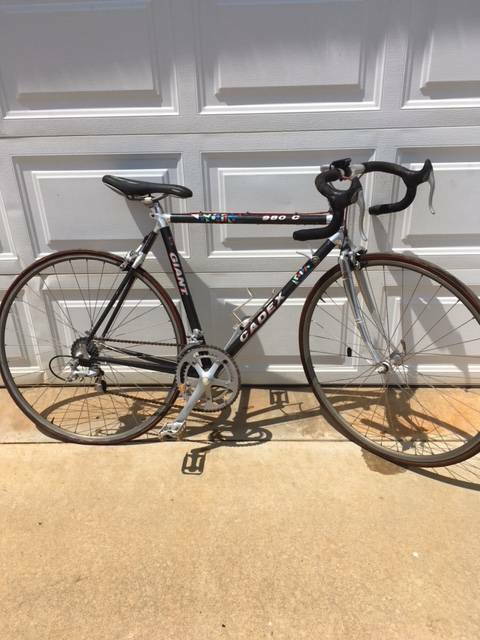 "univega its all there might need tires and a good seat but its all original.10 speed"
Updated, but somebody might want it anyway. The frame is in VGC, it bears some scratches and nicks consistent with a vintage classic. No dents rust or structure issues. Bike is ready to ride....for a long time... Pedals not included. Last edited by thumpism; 07-12-18 at 07:52 PM. Wasn’t the Gran Rally equivalent to a Miyata 912? All Shimano 600 right? That’s a cool bike! I really wish this one were my size. I believe so. Great 150.00 bicycle. 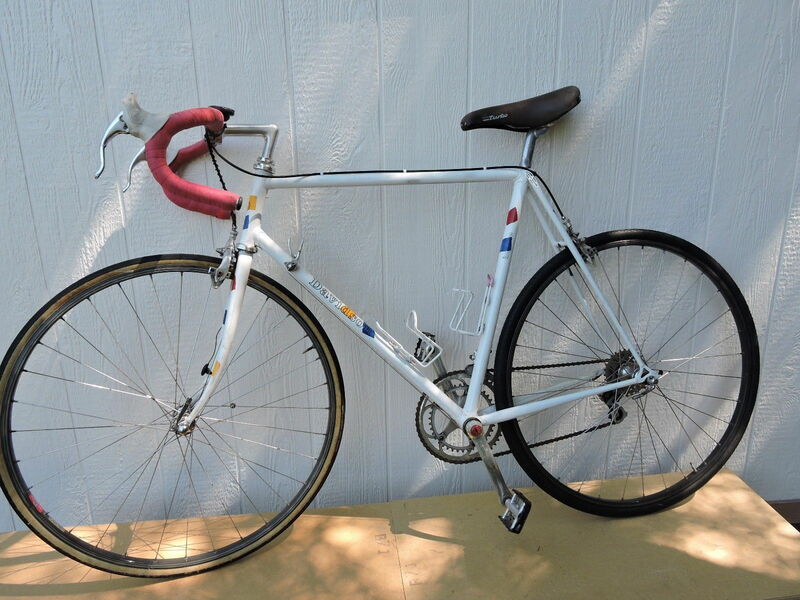 This might be a bike I bought from the original owner, restored, and sold. It looked absolutely beautiful with a honey brown Brooks B17 on it and was a pleasure to ride. Selling two (2) Bike-Shell Model 302 lockers that are no longer being used. Both of the Bike Lockers' outer size is 74.25"L x 40"W x 49"H. Capacity to store two (2) bikes. Two (2) doors with T-handle lock. Material of lockers is molded fiberglass reinforced plastic composite. Will sell separately or together. Sold as is for $975 each OBO. Saw that too. If Morgan Hill wasn't so far I'd be all over them just to own and ride the smaller one. On Greensboro's N.C. CL: A Giant Cadex 980C carbon fiber road bike form the early 90's. 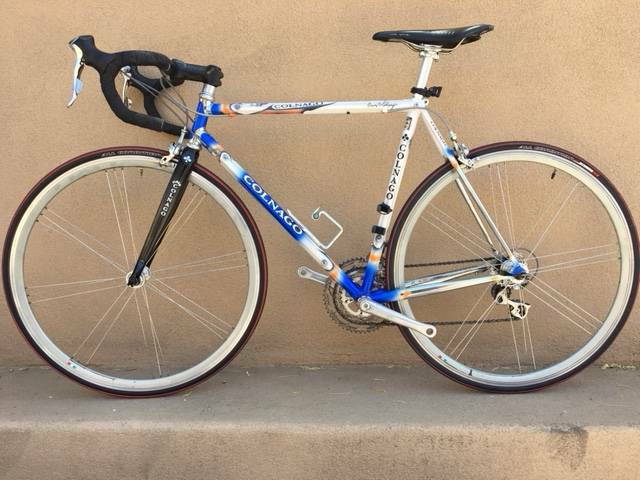 The seller hasn't rode the bike much in the last 15 years and is currently asking $300. He also said the bike was almost scratch free, all paint and lettering is in excellent condition. Will need new tires. I would love to have this it's not my size. "Cleaned up an old Centurion bike for reuse but never finished. Paint was really chipped so repainted black but kept chromed parts untouched. Has tange chromoly main tubes and fork. Has all original Suntour derailleurs, bar end shifters, and cable guides. Sakae crankset and drop bars. 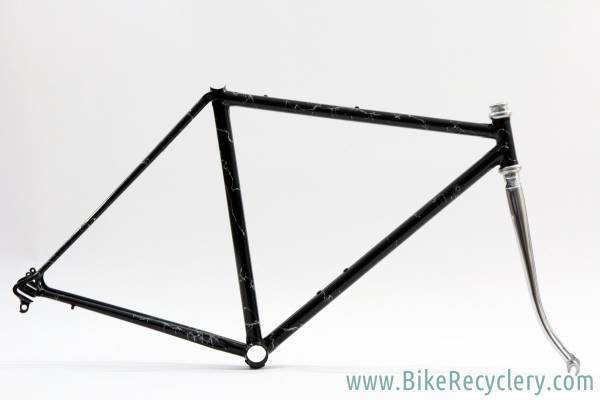 63cm frame. Can fix back into working order but mostly selling for parts." A hair too big. And it's certainly gone by now anyway. For the P-13 lovers, $1500. "Great steel Trek made in the USA late 70's early 80's. Frame was found in a distributors warehouse in late 80's and built up for me with good (now vintage) parts. Size 52cm frame. Stored indoors, may need new tubes. Always had good maintenance and regular service. Hasn't been ridden in 3-4 years"
Sorry it's too large.<sad faced emoji> I posted it as soon as I noticed it, around a few hours after it hit CL. It's yet up and presumably available. I'm no Centurion expert, but if it is of any consolation, it appears to be only a 76 or 77 Super LeMans with hi-ten, albeit Tange hi-ten, tubing?